I recently came across an ARTICLE that highlighted the "architectural inspirations" for some of Charles Perrault's stories. 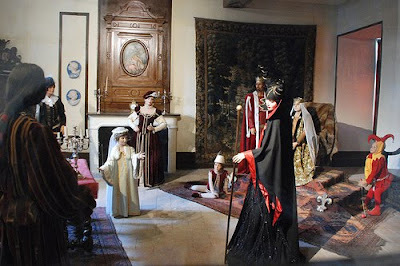 Apparently there are two castles - that you're still able to see and tour today - that fueled Charles Perrault's inspiration for his versions of two fairy tales: Sleeping Beauty and Puss In Boots. 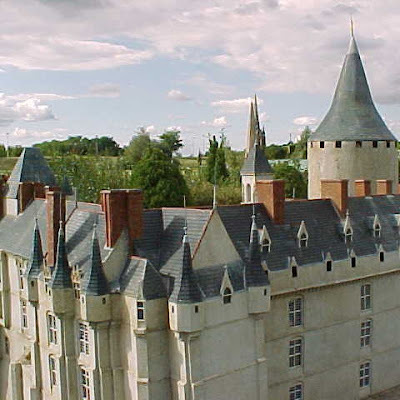 The Chateau d'Usse is reputedly the castle that inspired "La Belle au Bois Dormant" or "The Sleeping Beauty in the Woods" and even stages scenes throughout the castle from aspects of the story. This castle is also one of the ones that inspired Walt Disney when he was designing the castle for Disneyland. 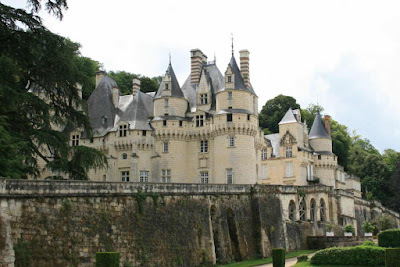 The most beautiful castle in France is first glimpsed as you approach the Château d'Ussé and an astonishing array of blue-slate roofs, dormer windows, delicate towers, and Gothic turrets greets you against the flank of the Forest of Chinon. 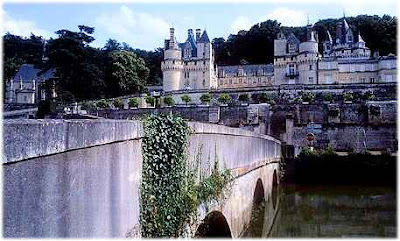 Literature describes this château, overlooking the banks of the river Indre, as the original Sleeping Beauty castle; Charles Perrault—author of this beloved 17th-century tale—spent time here as a guest of the Count of Saumur, and legend has it that Ussé inspired him to write the famous story. Though parts of the castle are from the 1400s, most of it was completed two centuries later. By the 17th century, the region was so secure that one fortified wing of the castle was demolished to allow for grand vistas over the valley and the castle gardens, newly designed in the style Le Nôtre had made so fashionable at Versailles. 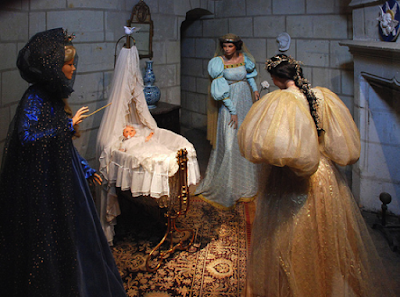 Only Disney could have outdone this white-tufa marvel: the château is a flamboyant mix of Gothic and Renaissance styles—romantic and built for fun, not for fighting. Its history supports this playful image: it endured no bloodbaths—no political conquests or conflicts—while a tablet in the chapel indicates that even the French Revolution passed it by. Inside, a tour leads you through several sumptuous period salons, a 19th-century French fashion exhibit, and the Salle de Roi bedchamber built for a visit by King Louis XV (who never arrived—his loss, as the red-silk, canopied four-poster bed here is the stuff of dreams). 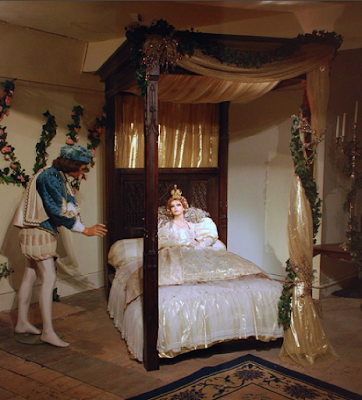 At the end of the house tour, you can go up the fun spiral staircases to the chemin de ronde of the lofty towers; there are pleasant views of the Indre River from the battlements, and you can also find rooms filled with waxwork effigies detailing the fable of Sleeping Beauty herself. You can find the rest of that review HERE and more about the castle in general HERE. "Le Maistre Chat, ou le Chat Botté" ("The Master Cat, or Puss in Boots") was apparently inspired by the sprawling mansion-like castle estate Chateau d'Oiron and, I must admit, it's the sort of location I usually picture when I hear this story (probably because whichever illustrations I first saw, the artist had done their research!). This castle/estate, built in the 16th century, now has amazing painted ceilings and numerous rooms dedicated to contemporary art. It seems to be more art museum than historical tourist attraction but still considered stunning on both counts. I couldn't find any pictures that connected it with Puss in Boots but it is well known as the inspiration for the setting of the story. 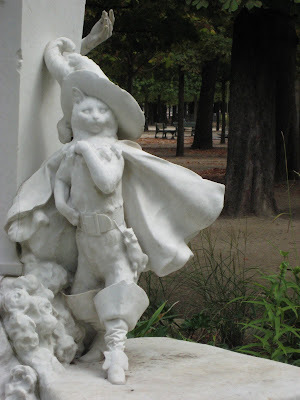 Here's Puss from Le Monument Ā Charles Perrault in the Jardin des Tuileries, Paris, France. I have no trouble imagining an ogre living here, or a Marquis - or a fake Marquis for that matter. You can read more about Chateau d'Oiron HERE. Guess that's three more locations (Perrault's monument included) to add to my itinerary when I eventually take that fairy tale dream trip!